The seminar will highlight the important issues of Tax Competition and Tax Expenditure in the context of the Argentinian Presidency of the G20, as well as introducing the work of the Global Tax Governance (GLOBTAXGOV) project. International tax arrangements have never been as high a political priority as they are today, making the work being undertaken, and this upcoming seminar, of critical importance. With a century old framework being put under increasing strain, attempts are being made to create a fair and level playing field. 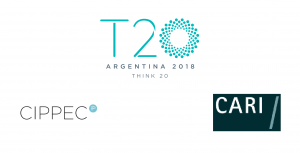 The Argentinian Presidency of the G20 has engaged think thanks and leading experts (T20) from around the world to provide valuable analysis to the G20 dialogue and produce ideas which contribute to the achievement of concrete and sustainable policies. In this framework the T20 Argentina Task Force on Trade, Investment and Tax Cooperation has provided policy recommendations to further advance the international G20 tax agenda. The seminar will be an opportunity for the authors of the T20 policy briefs, to discuss their findings and analysis in respect of Tax Competition and Tax Expenditure. Furthermore, it will allow an opportunity to discuss the position of the Netherlands regarding the issues discussed by both policy briefs and their work in respect of developing countries. This seminar will be an ideal forum to receive input from government officials, academics, business representatives, tax advisors, and civil society. In addition to this, an introduction to the GLOBTAXGOV project will be presented. This project receives funding from the EU H2020 and the ERC Research & Innovation Programme. The overall aim of GLOBTAXGOV is to assess the feasibility and legitimacy of the current model of global tax governance and the role of the OECD and EU in international tax lawmaking. In order to do this, there will be a focus on twelve countries made up of a mix of both developed and developing countries, namely the United States, Mexico, the Netherlands, Spain, Ireland, Australia, Colombia, Senegal, Nigeria, South Africa, India, and Singapore. This seminar invites academics (experienced but also young academics including PhDs students), business representatives, tax advisors, civil society, international organisations, politicians and government officials to discuss issues of global tax governance. 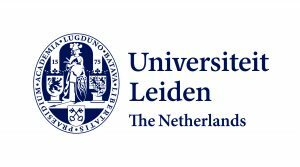 Interest to attend can be registered by emailing the registration form to GLOBTAXGOV@LAW.leidenuniv.nl. Please register by 30th October 2018.